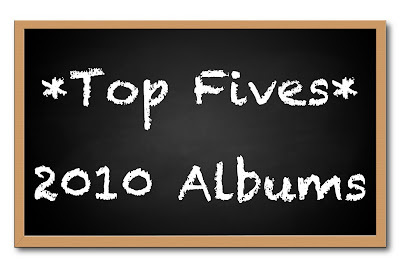 Top Fives: 2010 Albums – my books. my life. Kicking off my week of Top Fives with one of the loves of my life: music. 2010 was a wonderful year in music. These are the albums I’m still playing in December. Note: clicking on specific songs take you to that song on Grooveshark where you can listen for free. Or you can listen to the playlist at the end of the post. I actually only discovered The National this year. I’d seen the name around but it was thanks to my friend Johnny that I finally sat down and listened. And the moment I did, I fell in love. Hard. I’m pretty sure there was a period of many weeks where The National was ALL I listened to. I was lucky enough to be able to see them in concert in October and it was one of the most amazing shows I’ve ever seen. High Violet is full of the kind of songs The National (and Matt Berninger’s heartwrenching baritone vocals) do best. Bloodbuzz Ohio, Afraid of Everyone, Runaway, Vanderlyle Crybaby Geeks, and every other song on this album is just music at its best. Love love love. I really had a hard time deciding between #1 and #2 and both of these albums are by far my favorites of this year (but keep reading anyway). 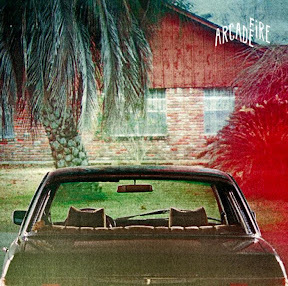 I’ve been a fan of Arcade Fire for some time and I anxiously awaited this new album. It did not disappoint. It is a not-always-positive homage on life in the suburbs and is full of gems like Month of May, Ready to Start, and the title track The Suburbs. This Canadian ensemble has once again stolen my musical heart. If only they would tour somewhere – anywhere – near me. Pretty please? 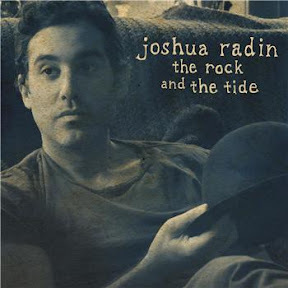 I’ve liked Joshua Radin for some time but it wasn’t until I saw his show that I realized just how good his latest album is. The Rock and the Tide is a little more upbeat than his earlier music (although still pretty mellow) and he sings with such joy that it’s hard not to smile. My favorites from this album are We Are Only Getting Better, You’re Not as Young, and The Rock and the Tide. 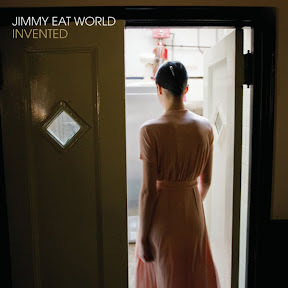 My take on Jimmy Eat World has always been that they are pretty good but nothing that I’m likely to go out of my way for. But Invented caught my attention. And I just keep going back for more. So that is why it earns a spot on this list. My absolute favorite track from this album is Coffee and Cigarettes (accoustic). I’m also pretty fond of Mixtape. And someone please confirm that the beginning of Heart is Hard to Find sounds like the Gilmore Girls music. 5. Almost Everything I Wish I’d Said the Last Time I Saw You – Wakey!Wakey! I actually discovered this band through One Tree Hill (which, let’s face it, features some pretty kickass music). 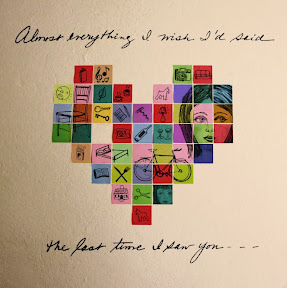 I first fell madly in love with Brooklyn (which did not come out this year but I am linking anyway because it is aMAZing) and then immediately downloaded their latest album. It is a mix of passionate vocals, some killer piano work, and just the right angst to fun ratio. The best song on this album is the live version of 1876 – The Brooklyn Theatre Fire. My other favorites are Light Outside and Almost Everything. Because 2010 was kind of an awesome year in music, I am going to leave you with a few more albums to check out. I can’t help myself. [Click each band for a sample track]. 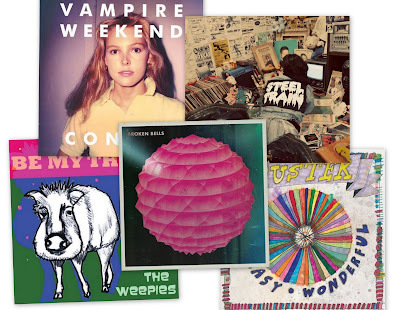 EDIT: I created this post and realized that I forgot about one of THE BEST albums of 2010 (it probably goes just below Arcade Fire) so please forgive me for tagging it on to the end and not giving it the justice it so very much deserves. Again, I have Johnny to thank for this one (when Johnny says listen to a band, I say how loud). 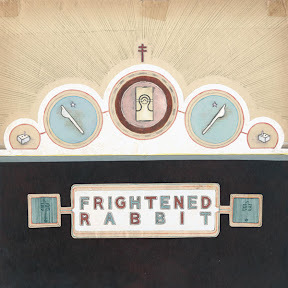 Frightened Rabbit is one of my favorite discoveries of this year and their latest album is great from start to finish. Try Living in Colour, Swim Until You Can’t See Land, and The Loneliness and the Scream for a good sampling. What are YOUR favorite albums from 2010? For your listening convenience, every song mentioned in this post is included in the following playlist. Enjoy! Good choices!!!! I just got the Frightened Rabbit album, and I haven’t quite found my favorite song on it yet, like I did with their previous album, but I like it so far. I haven’t heard of Wakey!Wakey!, but I should probably check them out. It was an awesome year for music, wasn’t it? I need to check out the Frightening Rabbit album, so many bloggers seem to love it. And you know I completely agree with your number 1 and 2 choices. I knew you would like that. 😉 And yes, check out Frightened Rabbits. I’m sure you’ll like them. Pingback: Top Fives: 2010 Discoveries - my books. my life. That’s a great list. 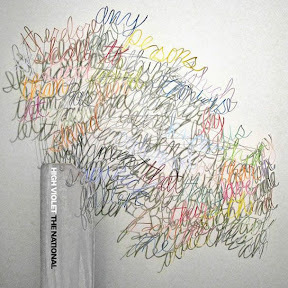 I love, love, love The National and Arcade Fire. I couldn’t decide which of the two published albums is my favourite in 2010. But I think it looks like this: The Suburbs is my favourite album and The National receive the award for last year’s best song (Bloodbuzz Ohio).